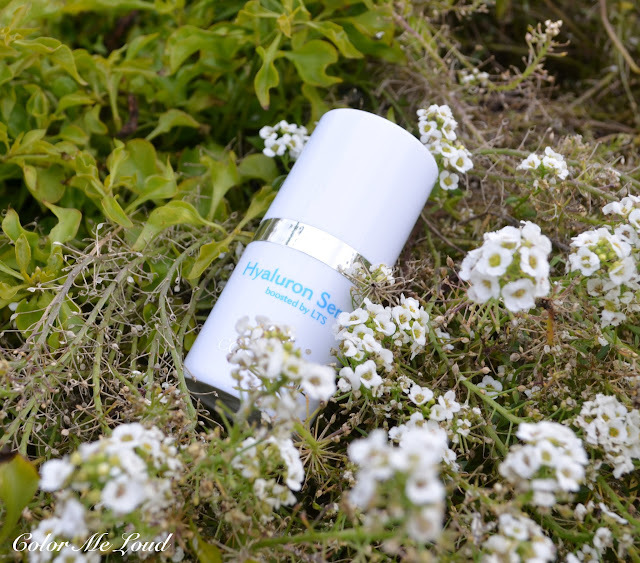 Cosmed.Me Hyaluron Serum comes in a white sturdy plastic bottle with a hygienic pump dispenser. It is a clean practical design, light weight to take it with you on the cost of not looking extra fancy but the silver details spice it up a bit. The pump dispenser works great to get certain amount of product from the bottle. The idea behind Cosmed.Me Hyaluron Serum is to encapsulate the hyaluron in bubble like structures called liposomes and send it to a journey deeper in the skin levels to increase the effectiveness of hyaluron. These kind of claims are very hard to test and report about. It is claimed that the serum penetrates into the skin very fast. I can agree on that since after the application, the product is absorbed very quickly. The product is given to include no preservatives and no aromatic substance. It has to be noted that it has a special smell, almost like a disinfection product. I know this smell though from a few other products which are high on hyaluronic acids. It is stated on their websites that the smell is the distinctive odor of hyaluronic acid. I am fine with all kinds of natural smell since I don't like my skincare to include additional perfume. You can check the full ingredients list here at brand's website. The formula is high on Phospholipides, Betaine and Hyaluronic Acid which is simply great for moisturizing, anti-oxidant and anti-aging effects. I just wished though that there wouldn't be Ethanol so high on the list. Betaine is known to compensate for that but still I am having doubts to rub alcohol against my already dryish skin. 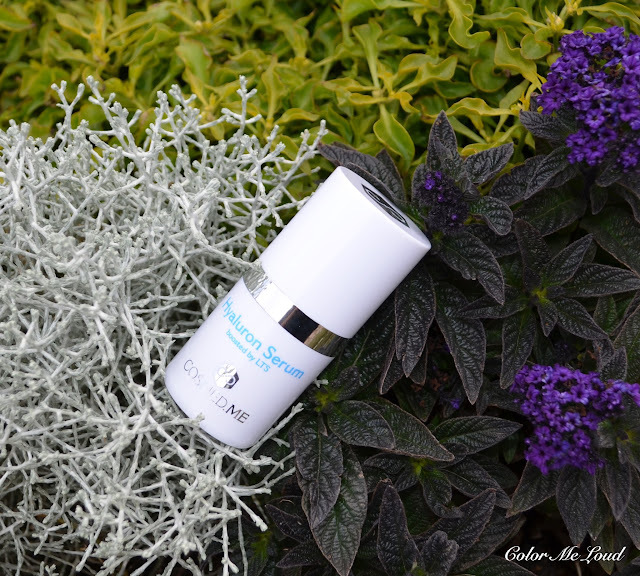 It is recommended to apply Cosmed.Me Hyaluron Serum right after the face is clean on slightly damp skin. For that I use a mist to hydrate my face a little and tap one pump of this after warming up in my hand on my face and neck. As it is absorbed very quickly, I can use it under my foundation or before my night cream. Final thoughts: I love to see new innovative ideas realized as products by new companies. I am loving the idea of sending Hyaluron deeper into the skin layers by coating it in a right way. I love the fact that the formula doesn't include perfume. I hope that the alcohol will be left out in case it is newly formulated to be able to be used by drier and more sensitive skin types. Cosmed.Me Hyaluron Serum can be purchased online (not affiliated) or at selected boutiques. The price is about 139 €. Are you experimental when it comes to skin care or do you prefer sticking to your routine? Yay for your certificate, congrats! This sounds like an interesting product. I use the Perricone MD Hyalo Plasma as part of my routine (unlike other Perricone MD products it doesn't smell of fish LOLOL) and have become quite addicted to hyaluronic acid. I don't experiment much with skincare, having extremely sensitive/allergic skin. I have recently changed my routine though; after 5 years of Sisley/Sisleya and a year of La Mer it was time. 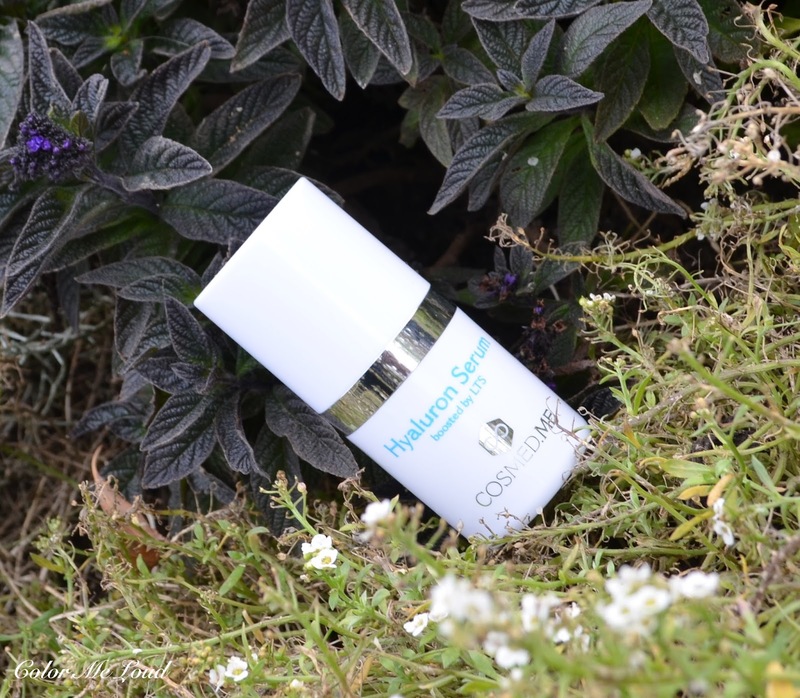 I am using Oskia now, but finishing off La Mer moisturisers and researching replacements. There must be something similar or better for less or the same money! I would be very interested to read about your skincae routine, morning and night. Too bad about the alcohol. It's a bit counteractive in a hydration-boosting product, really. But otherwise it sounds good. you are right I also find it contra productive but this is not the only one I have seen. When I check the ingredients, most of the hydrating products from known brands also include alcohol. I keep wondering if it is not a big deal after all or it makes a big difference in the formulation due to something else. thanks so much. I am so relieved about the certificate thing. I was super stressed in the last weeks but now I feel much better. I have heard lots about Perricone. Someone I know (Skincare professor lol) recommended me that brand for hyaluronic acid, it is probably the one you are using. I have to check that out too. Talking about changing the skin routine. I am not a fan either but I have to keep on testing products so I don't have the luxury to not to change lol. I would love to write it down but it will probably be more general, something like "cleaner, mist, oil, cream" and the brands keep on changing. I might need to write a best of post maybe from ones I have tested this year. For example, I remember loving Chanel Le Lift but after I ran out of it, I didn't buy a new one because I have 5-6 creams waiting to be tested. Oh and our bathroom looks like a war place with products over products hahaha.